Hello everybody ! I've been asked from many of you to talk about my skin care routine and here I am. For me the skin is so important and that's why I like to invest in great quality products in order to take care of it. Normally I don't have issues or major problems with my skin and when I talk to some make-up artist or even with saleswoman in beauty stores, they always tell I have a great and beautiful skin. So you can imagine my happiness as I am obsessed person about taking care of my skin. I think that the secret for a great skin is first of all "sleep enough + healthy food + drink water and fresh juices". This will certainly help for a healthy skin and if you can add some hydrating products it would be a must ! So, in this post I am showing you what I do or put in my skin in a daily basis. The process is always the same but I often change brands as I love trying what's new on the market but also want to find the best ! 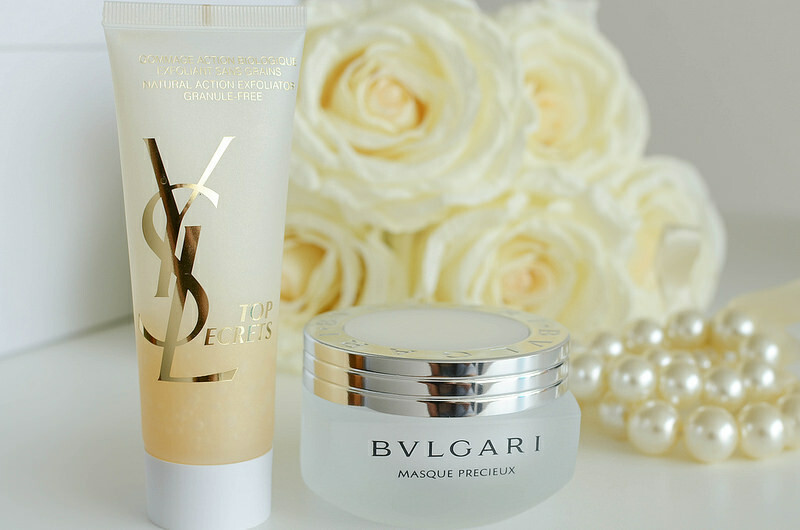 Right now I am loving these products from Lancôme, Yves Saint Laurent and Bvlgari. So let's see my routine step by step…. First of all, I wash my skin twice a day, once the morning and the other in the evening after having removed my make-up. 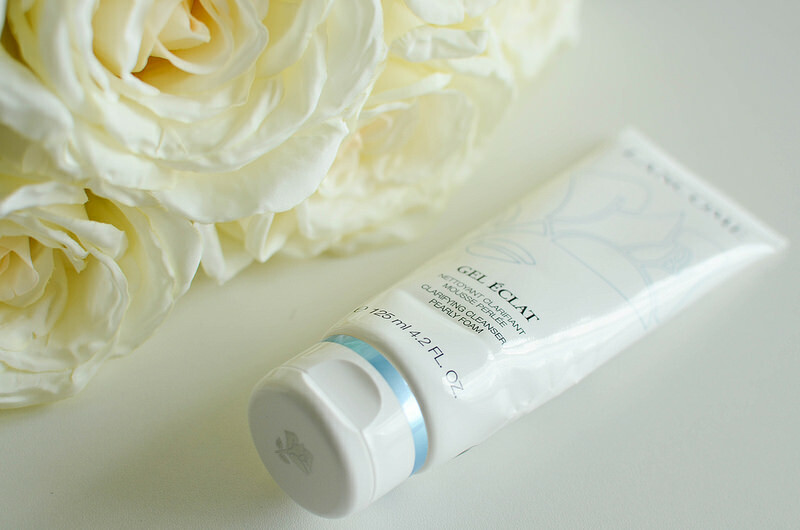 I do it with this clarifying cleanser pearly foam. It liberates the skin from the toxins and impurities deep inside. My skin just feels clean and refreshed! It's a pleasant sensation! I simply love this softening hydrating alcohol-free. It eliminates the impurities that dull skin and prepares the skin to receive the moisturizer. I can clearly see how the skin is smoother and softer ! 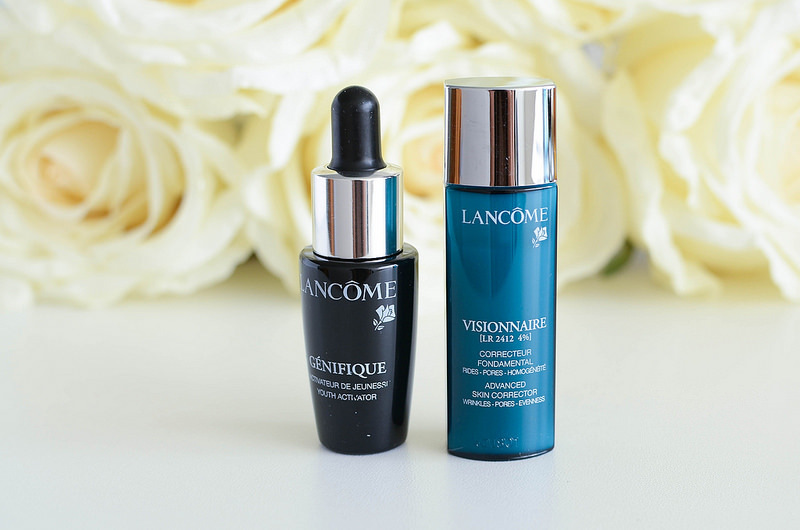 I have received these two as samples to try and I am loving them. The Génifique it's not yet for me as it's a youth activator for older women. However, I've been try as I received it and I feel like it boots and firms the skin. The Visionnaire is simply amazing ! It's almost like a primer. The skin is smoother, firmer and it's a anti-wrinkle. What more could a girl ask for ? I HIGHLY recommend! 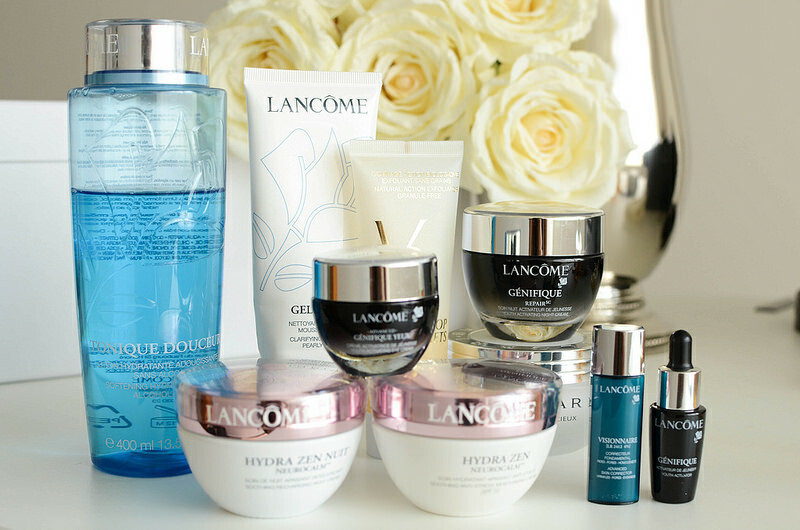 For me it's essential to hydrate my skin on a daily basis. 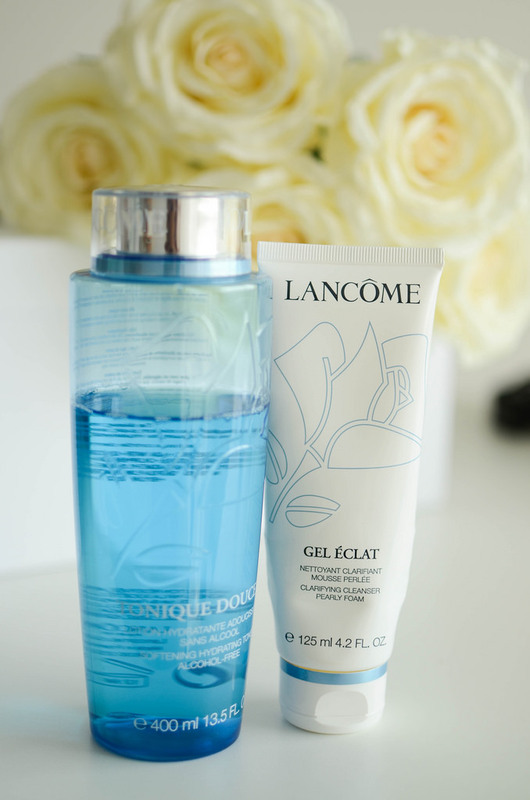 I ALWAYS choose a moisturizer for the day with sun protection. It's very important to have a SPF even when it's cloudy! The Hydra Zen has it all plus it soothes and relieve stressed skin! I also love its flavor. The first thing I do when I arrive at home in the evening is to remove my make up, to clean my skin and hydrate. It's important to let the skin breath without the makeup. 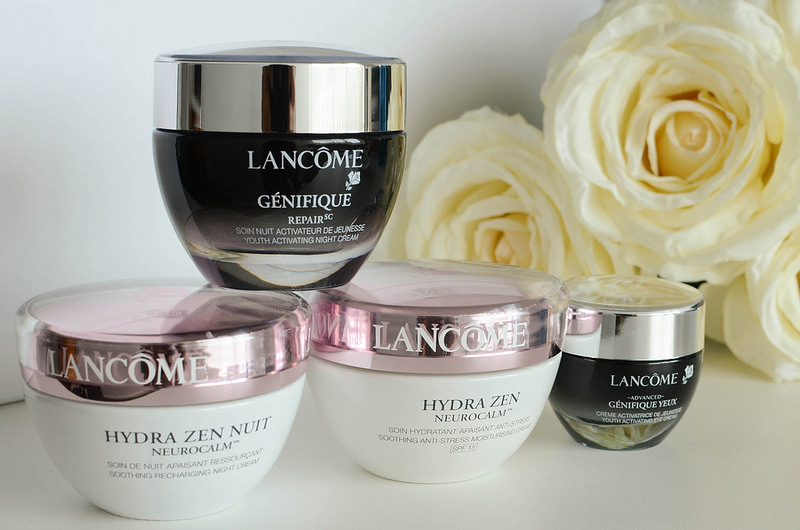 I like to use a cream specifically for the night and the Hydra Zen nuit is amazing. The skin looks relaxed after day full of stress. I tried this one and it's richer than the hydra zen nuit. It's more hydrating and if you need something more regenerating this one is perfect ! The skin is more resilient and completely restored. The result is just like I had extra hours of sleeping! This is my favorite for the night ! Once or twice a week I do a facial scrubbing to clean in depth the skin. I use this one from YSL. So, I do it after the step 1. It has a thick texture just like honey (granule-free) and I apply on my face and neck using circular motion. Then I massage until the texture liquefies on the skin. Then I rinse thoroughly with water. I HIGHLY recommend this one and specially if you have sensitive skin ! This mask is a gem ! 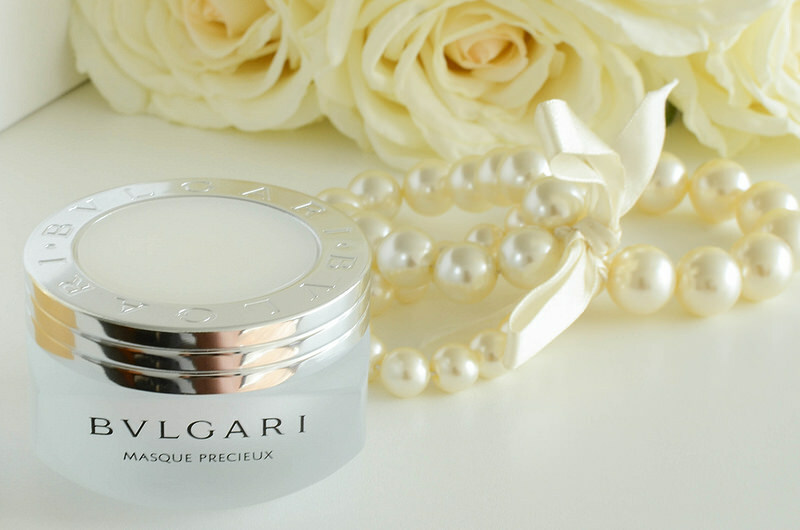 It associate the formula "Bvlgari Gem Essence" which has four extracts of fine precious stones chosen for their synergy and beneficial effect on the skin : sapphire, malachite, tourmaline and citrine and the Polypeptides III which plays a key-role on the cellular regeneration. Yes, this mask is pure luxury ! It's a bijoux ! The first time I tried I was completely seduced by the smell and the airy texture. The result is a toned up and radiant skin ! I HIGHLY recommend ! 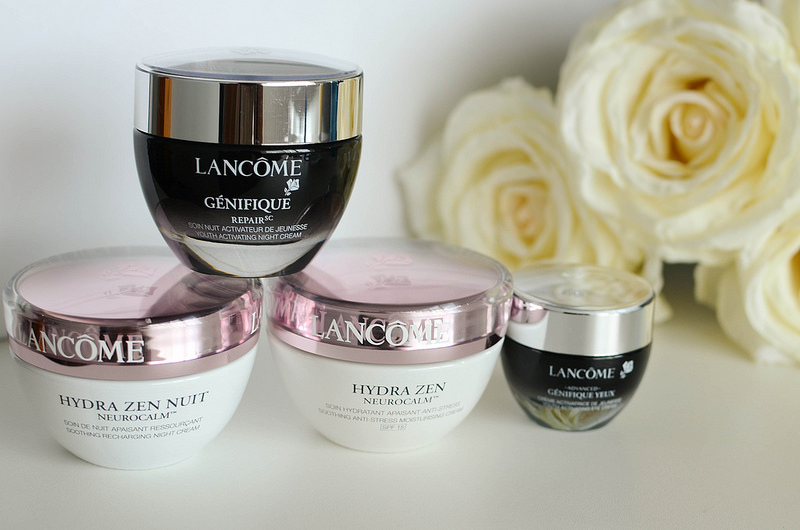 So guys, these are my skincare products actually. Let me know if you've already tried some of them and what do you think ! Have a great day ! All of these products are looking nice !